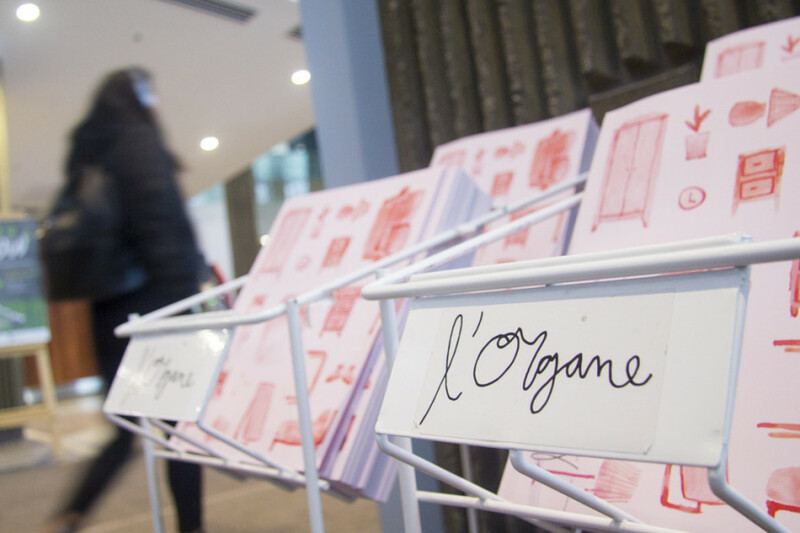 Concordia’s French-language magazine, L’Organe, has had their fee-levy reinstated—ensuring that the magazine can keep printing four issues per year. Pierre added that this will benefit the Concordia population at large, regardless of their first language. “A lot of people who read L’Organe [do so because] they want to learn French. [It’s] different from just reading a random newspaper in the street cause you get to read art and experience something new,” she said. Their $0.06 per credit fee-levy was suspended in December 2013 after Concordia’s Board of Governors decided to shut the magazine down as it had been inactive since 2011. In 2014, Pierre Chauvin, president of L’Organe’s Board of Directors, as well as Charlotte Parent and Flora Hammond, decided they would fight against the magazine’s closure. Chauvin is the former office manager of The Link. In 2015, Andrew Woodall, the Dean of students, struck up a deal with the new team. They would get their fee-levy back if they revived the magazine, and published four issues a year, over the course of two years. “It was either the magazine dies or you bring it back, and if the magazine dies, students shouldn’t be paying for the money to just sit in an empty bank account,” Chauvin explained. “It was either the magazine dies or you bring it back, and if the magazine dies, students shouldn’t be paying for the money to just sit in an empty bank account.” — Pierre Chauvin. The fee levy reinstatement ensures that the magazine will keep printing, explained Chauvin. It’s the magazine’s only source of revenue, because they have chosen to not sell ad space. According to Chauvin, the editorial team does not get paid salaries, and about 80 per cent of the publication’s revenue goes directly to printing costs. When the magazine stopped publishing, L’Organe also lost its office in 2015. The new editorial team had been put on a waiting list in 2014 and were moved into a temporary office in the TD Building in January of this year. According to Chauvin and Pierre, they have been told that they will be moving again in September. “It’s in the TD building on Guy, so it’s the very small building that you almost can’t see the door if you don’t know it’s there[…] we don’t even have the wifi from Concordia here,” Pierre said. Pierre explained that the team will soon be brainstorming changes the fee levy reinstatement might bring. Right now, they are focusing on recent and upcoming staff changes. She added that while this likely won’t change the number of copies and frequency of their print cycle, it might help make them more visible, since they may now be able to afford posters. Pierre said that they will continue to look for new contributors for their magazine. “We’re also trying to have different thing coming in, like for the last publication, we had two artists who came in and did performance art during the launch,” Pierre said. They hope to do more of that in the coming volumes.